A major step towards widening the investment horizon in Ondo state has been taken by the state governor, Rotimi Akeredolu. 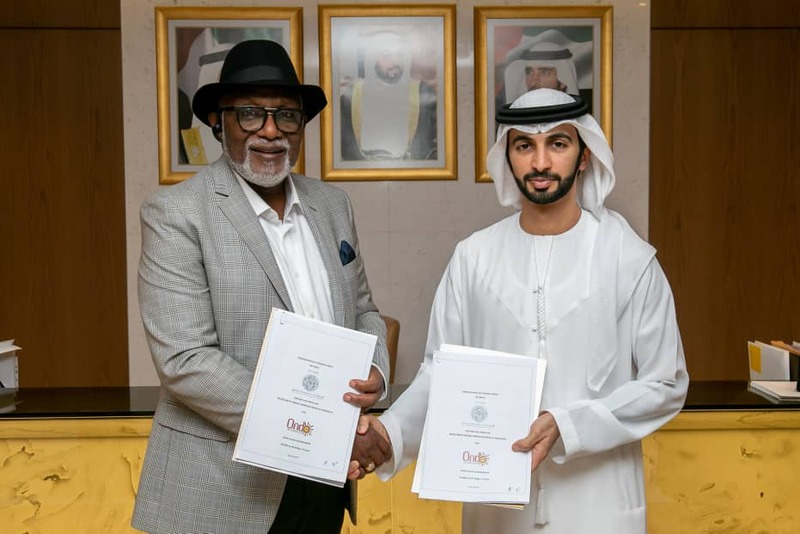 This is as a Memorandum of Understanding, MoU, have been signed by the governor with the private office of a member of the Dubai’s ruling family, His Highness Sheikh Dalmook Al Maktoum, in the area of seaports and infrastructural development in the state. 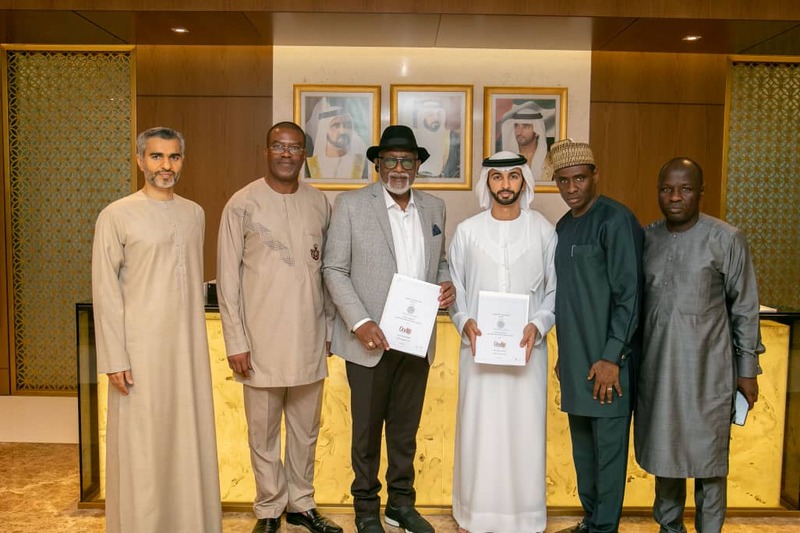 According to the governor, he was seeking the collaboration of the United Arab Emirates’ Dubai in developing Ondo State and widening its investment horizon. Yesterday, the governor was invited to meet the Under Secretary for Foreign Trade, Ministry of Economy UAE, Hon Abdulla Ahmed Al Saleh, to discuss opportunities in his state, according to a statement from the Governor’s office. 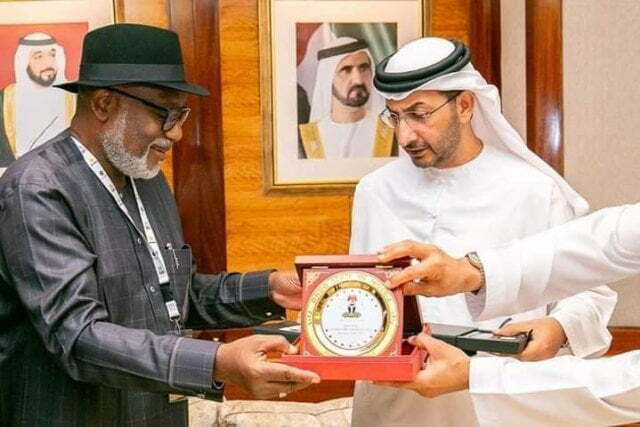 Akeredolu and his team were also invited to meet with His Highness Sheikh Ahmed Dalmook Al Maktoum and the Dubai Port Authority team on the Portuondo and the bigger economy of the state. Consequent upon the successful meetings, Akeredolu sealed a deal for the development of the proposed Deep Sea Port in the state and other infrastructural development. The Akeredolu’s administration has already completed a feasibility study on the proposed Deep Sea Port in Ilaje local government area of the state. The feasibility study prepared by the MTBS led by its Managing Director, Netherlands, Mr Chime Asonye, accompanied by the firm’s project leader, Mr Willem Slenderbroek, has been forwarded to the Nigeria Port Authority (NPA). The Governor had mentioned during a courtesy visit of the Araromi Obu in Council that the NPA team will soon be in the state for assessment after which the port declaration will be done. He promised that his administration will continue to engage potential investors. In accordance with the terms of this MoU, the parties have expressed their intention to collaborate and work together on other business opportunities including Setting up new conventional, renewable and hybrid power projects including the potential to re-power existing power plants. Other objectives of the MoU include: exploring the potential to develop Oil Blocks and Strategic Storage Terminals, developing cashless solutions for internally generated revenues (IGR) on direct assessment: and any other projects of mutual interest. His Highness Sheikh Ahmed Bin Dalmook Juma Al Maktoum, member of the ruling family of Dubai UAE and founder of the diversified conglomerate, Africa Middle East Resource Investment (AMERI Group), has emerged as a strong force on the global front as his rise as an influential figure stems from his decisive leadership in expanding UAE’s energy and power-network across continents and his inspirational work on the humanitarian front.